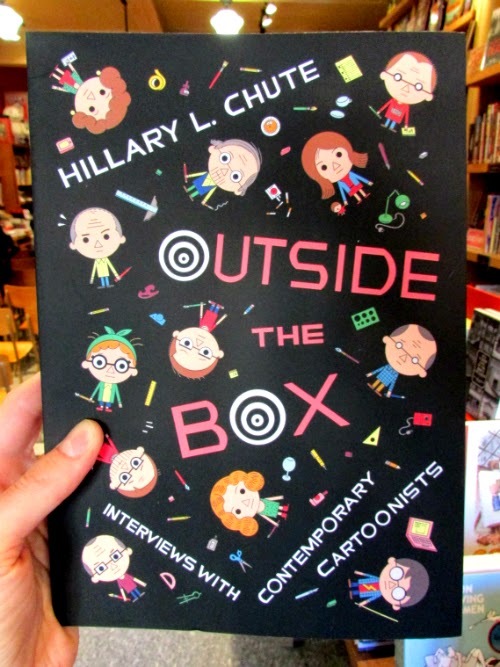 For nearly a decade Hillary L. Chute has been sitting down for extensive interviews with the leading figures in comics, and we're delighted to have the fruits of her labours collected in this new book! Outside the Box includes in-depth discussions with twelve of the most prominent and accomplished artists and writers in comics, revealing a creative community that is richly interconnected yet fiercely independent, its members sharing many interests and approaches while working with wildly different styles and themes. Chute’s subjects run the gamut of contemporary comics practice (including a number of Drawn & Quarterly alumni! ), from underground pioneers like Art Spiegelman and Lynda Barry, to the analytic work of Scott McCloud, the journalism of Joe Sacco, and the extended narratives of Alison Bechdel, Charles Burns, and more. They reflect on their experience and innovations, the influence of peers and mentors, the reception of their art and the growth of critical attention, and the crucial place of print amid the encroachment of the digital age.